The ECE department is exerting substantial efforts to transform large courses in the department. 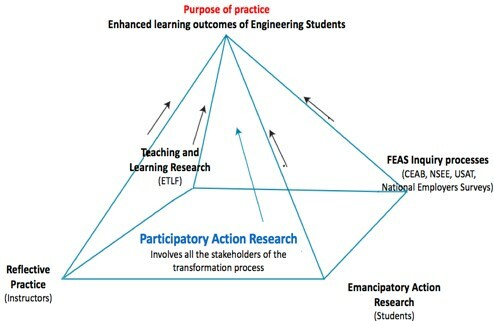 The process, which relies on evidence-based learning, involves different stakeholders in the Faculty of Engineering and Applied Science (FEAS) and included hiring an Engineering Teaching and Learning Fellow (ETLF) who has expertise in both the departmental discipline as well as teaching pedagogy and learning. One of the goals of the ETLF position is to provide support to instructors interested in implementing more engaging teaching techniques that may lead to better learning outcomes and higher retention rates. Dr. Deena Salem is the Teaching and Learning Fellow in ECE, Faculty of Engineering and Applied Science at Queen’s University. 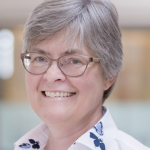 She works with faculty to incorporate active-learning approaches in large courses, providing support to enhance learning outcomes by introducing best teaching practices. After the implementation of these interventions she investigates the impacts of different interventions on the students’ learning and success. Dr. Salem earned her Ph.D. in Electronics and Communication Engineering, she also earned a Bachelor of Education, and is currently working towards the completion of a Masters of Education degree with focus on formative feedback in Engineering Education. 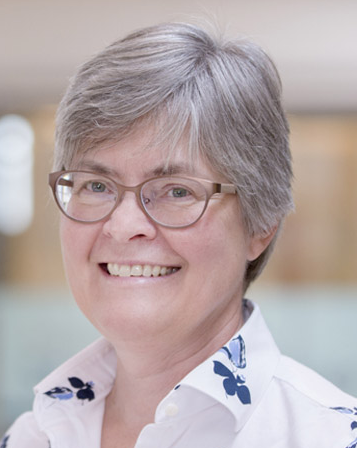 Dr. Evelyn Morin is a professor in ECE, FEAS at Queen’s University. Her research involves the application of technology to further the understanding of biological systems, in particular the neuromuscular system, and to better understand the negative effects of work, e.g. musculoskeletal injury risk, and how such effects can be minimized. This is done primarily through the measurement and analysis of biological signals, both intrinsic signals that arise from tissues within the body, principally the EMG, and extrinsic signals that are due to body motion and interaction with the environment, These signals are used to gain insight into specific aspects of human physiology and biomechanics. Electrical Circuits, ELEC 221: The course instructor showed strong interest in enhancing the students’ learning experience and worked with the ETLF to obtain a course enhancement grant. The goal of having this grant was to dissect the course’s different components and decide on potential points of intervention. The main intervention is to embed online videos in the course page on the Learning Management System (onQ). These videos introduce some of the basic concepts that will be built upon in the lectures that follow with short online quizzes to check students’ understanding. Other types of videos were introduced to support the students’ work in the lab, such as lab-safety regulations and how to handle the lab resources and equipment. There are also modeling videos that feature experts carrying out tasks that need specific technical skills such as soldering, measuring circuit parameters. These lab videos will guide the students as they perform the same task within their groups in the lab session that follows. Digital Communications, ELEC 461: According to student feedback, the course material was reported to be extensive, dry and difficult to grasp. To tackle these issues, the course instructor initiated the transformation process by securing a course enhancement grant from FEAS, together with the FEAS Teaching and Learning Team. The main goal of the transformation was to change the course from face-to-face into a blended setting. The process involved reviewing the course learning outcomes, weekly learning outcomes, changing part of the lecture into an on-line component, and allowing more active learning to take place in the classroom and labs. The role of the ETLF was to introduce and propose best relevant practices to the course instructor. Graduate Teaching Assistant (TA) Professional development: Professional Development (PD) Workshops are planned in a collaboration between Queen’s Center for Teaching and Learning (CTL) and the FEAS. The objective of these workshops is to enhance the pedagogical, instructional, and assessment skills of the TAs in the Queen’s Electrical and Computer Engineering Department. The pilot project will identify five TAs within ECE who have teaching or TA experience, who will participate in an extended workshop. TAs who have had minimal or no teaching experience will participate in a focused workshop. The extended workshop includes pedagogical, instructional, and assessment training. These senior Graduate TAs will be trained to provide coaching and mentoring to other TAs in the department. They will be responsible for running a series of focused departmental PD workshops, in which they will coach other TAs in the department. These workshops will focus on the specific role of the trainees (whether they are conducting labs, teaching tutorials, or marking). At the end of the workshops, the senior TAs will be assigned as mentors to different groups (conducting labs, teaching tutorials, or marking). In the case of any pedagogical or professional issues arising during course delivery or marking, the senior TAs and the ETLF will be available to provide the GTAs with assistance and support. STEM ed@Q: A monthly seminar series about research and innovation in Science, Technology, Engineering, and Mathematics (STEM) education at Queen’s. This is an informal group of faculty, staff and graduate students that are interested in, and monitor the most recent practices, trends and innovations in teaching and learning in science and engineering education. The group meets once per month during which different perspectives of science and engineering education are presented and discussed. Get notifications of new events, posts, and pages sent straight to your inbox.